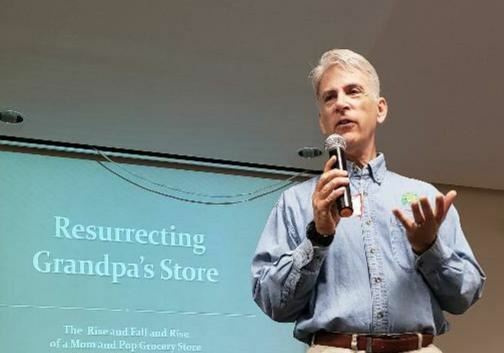 Scott E. Meyer, recording secretary of the Jewish Genealogical Society of Illinois, will speak on “Resurrecting Grandpa’s Store” on Sunday, April 7, 2019, at a JGSI west suburban meeting. His presentation will begin at 7:00 p.m. at Congregation Beth Shalom, 772 W. 5th Ave., Naperville, Ill. Registration and networking will begin at 6:30 p.m. Everyone is welcome to this free event. While this program is free, those who join the society have access to several valuable members-only resources on the JGSI website. They include video recordings of more than 30 presentations from past JGSI events, valuable informational handouts from past speakers, and access to past Morasha newsletters containing informative articles about Jewish genealogy. To learn more about the benefits of joining the Jewish Genealogical Society of Illinois, go to jgsi.org/membership_benefits.